We take a holistic approach to internet marketing and while the recipes may change a bit year-to-year, the ingredients largely remain unchanged. 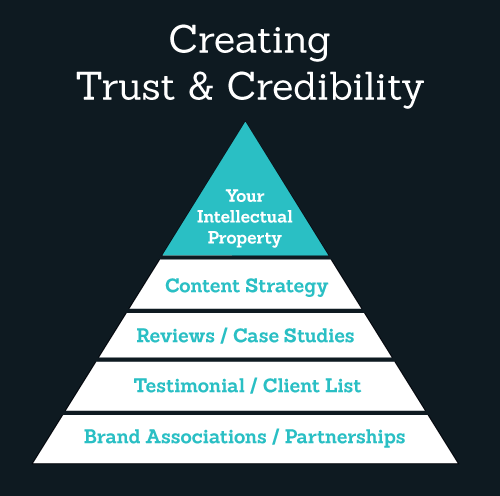 It’s for that reason that I wanted to take look at some common tactics for driving traffic and converting it by creating brand trust / confidence. That is, common activities that marketers take when creating successful sites that drive traffic also work well in creating a memorable brand in the marketplace. 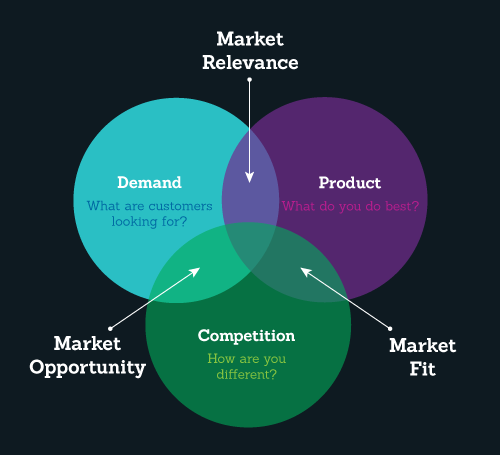 Growing a business is a balancing act of striking a balance between market relevance, market opportunity and market fit. Once you’ve reached that balance one of the key objectives is to have prospective customers associate your brand with the solution to their needs. 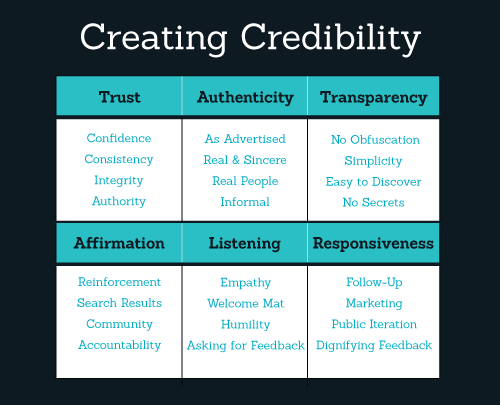 In terms of 3rd party credibility, I’m talking about all the various ways we as marketers can cultivate word of mouth, which is the single most effective way to develop customers and communities. Search Engines provide millions of recommendations every day, all of these referrals are hinged on the link juice that flows from one credible site to another online (otherwise known as Page Rank). Of the more than 200 ranking factors that Google uses and the countless filters that search engines apply in an effort to fight spam, back links remain one of the most significant signals that a site is worthy of appearing in search engine result pages (SERPs). Every successful site today needs to have a healthy content strategy, among the numerous techniques to create engaging content whether evergreen (timelessly relevant) or seasonal etc, one of the most common ways to create or drive brand credibility is by having your company’s experts contribute to content other authoritative sites in your niche. Today’s testimonials may take shape in a number of ways, not the least of which is badges clients can sport on their sites indicating their support of your brand. Customers may also pen a short inspirational sentence or two talking about their experience with your brand and the value your product(s) or service(s) created for them. When publications that your customers trust choose to provide an in depth review of your company and it’s offerings, you’re definitely on your way to creating a strong brand. By the same token, case studies are an opportunity share an in depth look at the “before and after” results clients realized in working with you. Since case studies normally require a blessing from the client, this approach is helpful for prospective customers who may relate to the story or otherwise discover more about how your product(s) or service(s) can be used. Offline or on, creating close proximity of your brand with others your target market trusts is often a very good thing. In cases where you can create an offer by working together with a brand that compliments yours, not only does this save time and hopefully money for your customers, but it also creates an even more profound brand experience. Associations and partnerships can take numerous forms, however the primary goal here is to generate brand lift – awareness about your brand and your value proposition in the marketplace. Have any great examples of companies that are doing a great job of creating brand equity online today via their efforts? Share by leaving a comment. This entry was posted on Tuesday, April 24, 2012, 11:33 AM and is filed under Business Development / Strategy. You can follow any responses to this entry through the RSS 2.0 feed. Thanks for the post. It's really useful. I guess you can say that any international corporations are great examples here. Coka-Cola, McDonals, etc. I think the most important thing in such a saturated market seems to be more and more dependant on credibility. Gone are the days when the person with the most links got the traffic. But now it is heading more and more to useful content that becomes the corner stone of any high quality site. Now more then ever I believe networking offline is as important as marketing online. good article, I like the first diagram, very descriptive!